A dog tick bite can be the precursor to serious illness, so it is something that all dog owners need to be vigilant about. While ticks can affect any breed, they are a particular problem for working breeds like the Australian Shepherd that tend to spend a lot of time outdoors, in heavily grassy and brushy areas. Unfortunately for their owners, the long, coarse coat of the Aussie can provide a perfect hiding place for tiny ticks, making them even harder to spot. No matter how much you care for your dog, it isn't possible to stay ahead of every threat, especially when that threat is nearly invisible to the naked eye. Any time that your dog spends outdoors can open him up to tick exposure. While these are small pests, a tick bite on dog skin can have serious consequences. Bites can lead to a variety of conditions including Lyme disease and Tick Paralysis. 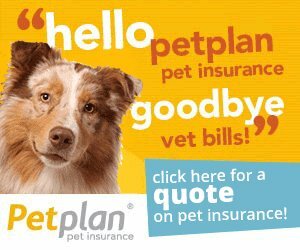 So how does a dog tick bite occur? Ticks are parasites that feed on the blood of a host, either human or animal. There are several kinds of ticks, including deer ticks, Brown dog ticks, and American dog ticks. All of them live in grass and tall brush and wait for a host to come by, at which point they attach themselves to the host's skin and begin to feed. They are most active in spring, summer and fall and can be found in all parts of the U.S., though they are most common in the Northeast. Ticks come in a variety of sizes but all are visible to the naked eye. That doesn't make it any easier to locate them, however, as they tend to burrow beneath a dog's fur. In order to prevent a tick bite on dog skin, you should carefully check your dog over any time he has been outdoors. Since it may be difficult to spot ticks, you can generally find them easier by feeling your dog's entire body. If you do locate a tick on your dog's body, it needs to be removed carefully as contact with the tick's blood can transmit infection. 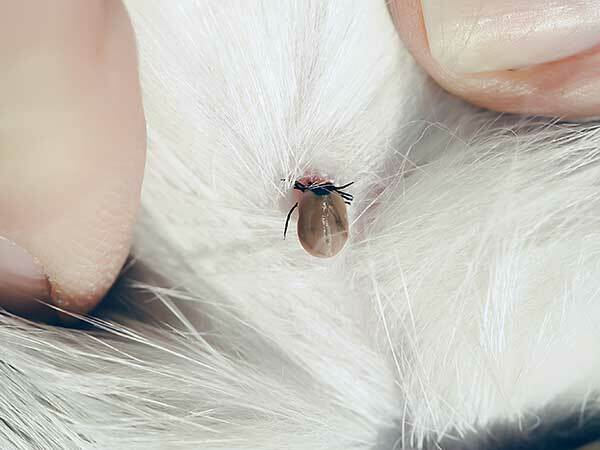 Part the dog's fur and then grasp the tick with a pair of tweezers as close to the skin as possible and firmly pull straight up, making sure to remove all of the tick, including its mouth. Gently rub the dog tick bite with alcohol to disinfect and dispose of the tick by flushing it down the toilet or carefully wrapping it in tape. Though tick borne illnesses can be serious, they may not be immediately evident, as symptoms don't always appear right away. For this reason, any time you find a tick bite on dog skin you should take your dog to the veterinarian to have him thoroughly examined. This is the only way to completely rule out the presence of Lyme disease and other tick related conditions. 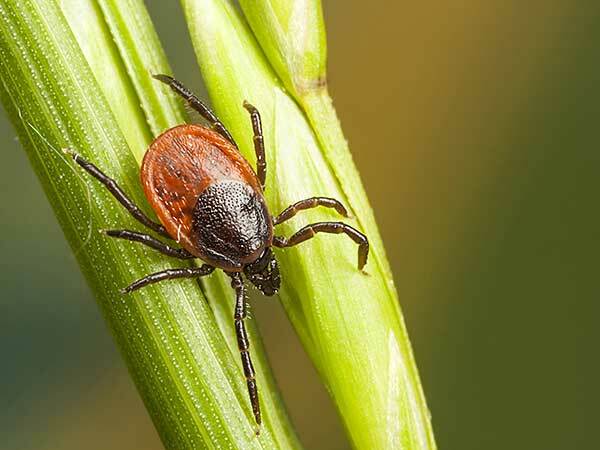 While conditions such as Lyme disease have specific symptoms, the general symptoms of a dog tick bite can include blood loss, anemia, skin irritation and infection. Though it is nearly impossible to prevent your dog from being exposed to ticks, you can prevent tick bites by using any of a variety of flea and tick treatments that can be applied topically, orally or in the form of a collar. Regular use of these products can help to greatly reduce your dog's chances of being seriously affected by a tick bite. A little prevention now can go a long way toward keeping your dog safe throughout tick season.